St George's College welcomes many students from overseas to live and study for their entire degree. They choose to stay at college for a full university experience, to immerse themselves in the college culture and to make friends with Australians and others from all over the world. We also welcome many students from overseas to live and study for short Study Abroad periods. The College benefits from the diversity and cultural experiences provided by the inclusion of international students into our college life. All international students are welcome to apply for the International Student's Bursary, this bursary is awarded to assist with College fees. Hear from some of St George’s College’s international residents. Amanda is our international resident from Norway. She's studying at University of Western Australia. Amanda tells us why St George's College should be your number one choice in Residential College at UWA. Mike initially lived in a private rental unit until his host suggested a move to St George's College for a truly local experience. Nina(Germany) and Inge ( England) both resided at St George's College while undertaking studies at St George's College for their exchange and study abroad programs. They chat about why St George's College is the best choice for international students. Alexis is one of St George's College's international resident. She is from Singapore and currently undertaking foundation courses for University of Western Australia (UWA). Alexis shares her experiences of living at St George's College. Below, you can meet some of our international residents and read about their experiences at St George's. "One of my biggest fears when I chose to study abroad was that I wouldn’t be able to make friends while only being here for one semester. I didn’t really know anything about residential colleges and sort of chose George’s on a whim. I cannot express how glad I am that I made that decision. From the first night that I arrived I was blown away at how welcoming everyone at George’s was and how quickly I felt integrated into this really special, tight-knit community. I’ve been able to make so many friends both local and international and really soak up every moment of this small experience of living in Australia. The people at George’s gave me unconditional love and support every step of the way while being here, which is more than I could ever have asked for." "Choosing St George's, was an easy decision for me due to the facilities available, location, support and the fact that you are living in a castle! From the first day of coming to St George's, I already knew that it would feel like a second home, and now I don’t want to leave! The welcoming feel to the college helped me to settle in especially during O-week and has given me friends for life. College events are so much fun and I would recommend going to as many as you can! As an exchange student from The UK, St George's is definitely something I have never experienced before and while my semester here is almost over, the memories, experiences and places I have seen will stay with me. George's creates a sense of belonging and offers so much! 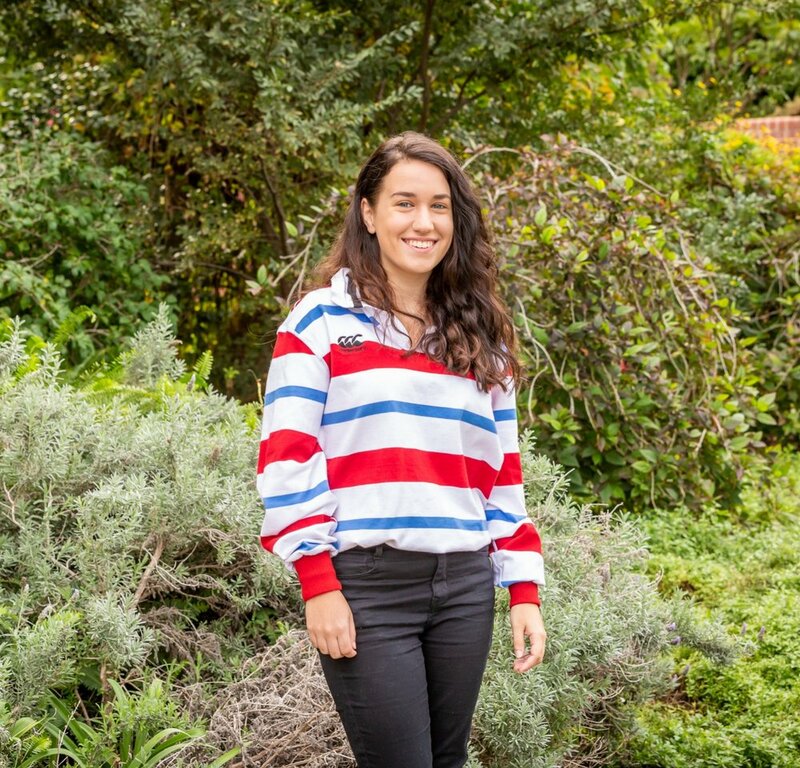 "Coming to UWA on exchange from America, I had no chance to look at any residential colleges before having to choose one. All I could really do was ask around the people I knew from UWA for their recommendations. The only answer I ever got was “St George’s is great, all my friends loved St George's!” Naturally, I applied to live at St George's, and have not been disappointed since. I am able to use my free gym membership just across the street where I have made a whole community of friends, and take part in unique events St George's has to offer like fireside chats or formal dinners. The staff have also made this place as accommodating as possible for all the needs I have, including my dietary requirements and busy schedule. I will miss St George’s, and the sense of community it offers.